Aug - 31 | By: Oregon Film | no comments. 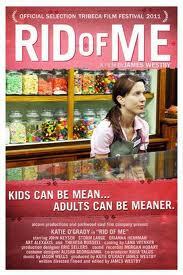 “Rid of Me”, directed, written, and produced by James Westby and Produced by star Katie O’Grady has been acquired by Phase 4 films. The film has already had great success in several film festivals including the Tribeca Film Festival earlier in the year. As announced today in Deadline Hollywood the film will get a theatrical release through the deal. Phase 4 has a wide array of titles in it’s catalog most recently being Kevin Smith’s “Red State”. No details on the exact release date but the announcement referenced a fall date.